MANILA, Philippines – The recent reports of celebrities who had undergone drug tests made way for a new ‘challenge’ to trend in social media—the #DrugTestChallenge. 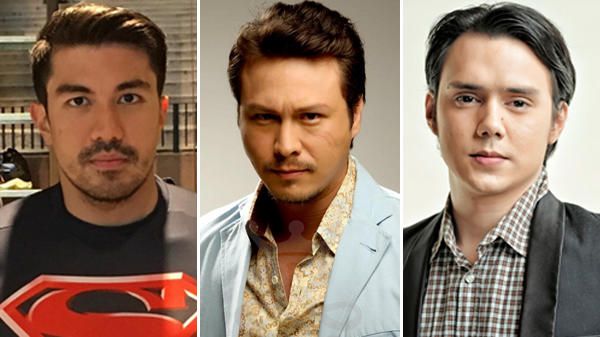 It was just last month that Star Magic conducted supervised and voluntary drug tests to eliminate rumors of illegal drug use amongst its artists. Jake Cuenca, Diego Loyzaga, Enrique Gil, and other 37 artists of the talent management resulted negative. The act was then followed by series of other artists as well as people from the entertainment industry to undergo the drug test challenge as well. Posted last Wednesday, August 31, controversial actor Baron Geisler participated the cause and—on set, conducted a test himself using a quick drug test kit. Geisler, awed netizens as he resulted negative. Even TV host and actor Luis Manzano also tested negative. Manzano underwent drug testing on Philippine National Police (PNP) Crime Laboratory in Camp Crame, Quezon City. Manzano posted his results on Instagram. Kiddingly resulting positive on good looks, he wrote. Magiging honest na po ako... Di ko kayang magsinungaling sa mga nagmamahal sa akin... Oo... Positive po ako sa test. Ang kaso ko raw ay : ILLEGAL POSSESSION OF A HANDSOME FACE . Radio station 90.7 Love Radio went through the challenge as well. Comedic duo Nicole Hyala and Chris Tsuper, TLC host Papa Jack and the rest of the DJ’s resulted negative on the test. “Ang Love Radio Manila ay nakikiisa sa pamahalan sa laban kontra sa droga. Kaya kami ay nagpa-drug test.” (The Love Radio Manila, is with the government in its fight against illegal drugs. That’s why we went through the drug test) said Papa Jack. “Para patunayan na hindi kinukunsinte ng radio industry ang drug use. Hinahamon namin ang MOR 101.9 at Yes The Best 101.1 sa isang drug test challenge” (It is to prove that the radio industry has zero tolerance over drug use. We challenge MOR 101.9 and Yes The Best 101.1 to a drug test challenge) Nicole Hyala said at the end of the video. Yesterday, September 1, Actor Patrick Garcia is the latest showbiz personality who took the challenge. Garcia resulted negative and even posted his results on Instagram, taking the test as support to the government’s campaign against drugs. Teen king and teen queen, Daniel Padilla and Kathryn Bernardo also expressed their willingness to take the test. Initially, the drug test fad is started through a video by the entertainment group Mocha Girls, as Mocha Uson led them to a surprise drug test. It is reported that President Rodrigo Duterte confirmed that he has in his possession a list of celebrities involved in drug trade.